We woke up early by habit even though we were not riding today. We did some laundry and got ready to do a presentation at the Worship Center. At the service, after our presentation the pastor announced the church committed to a well! So encouraging! That brings our well count to 27 or even 28 depending on the amount of online donations. So we are getting really close to 30. 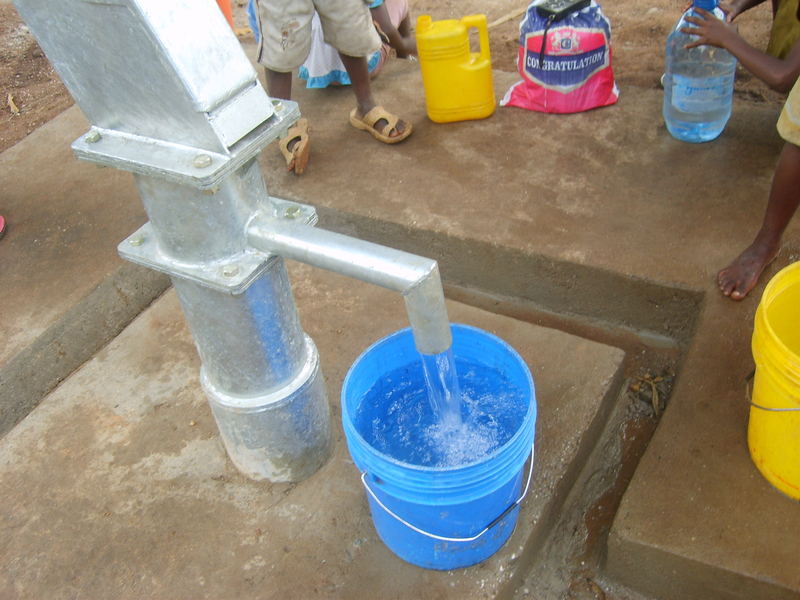 Half our goal but to think 30 villages will get clean disease free water is so exciting! I almost forgot it was my birthday until we were on our way to the service. 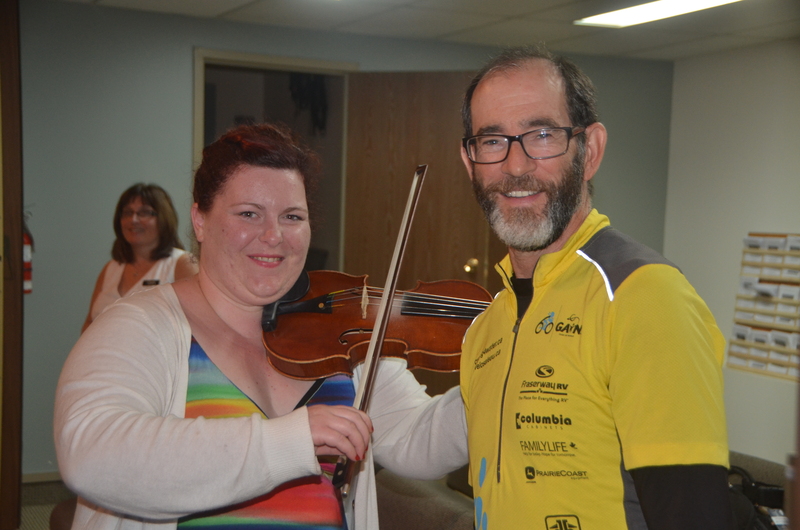 This is the first time I’ve had Happy Birthday played on a fiddle! Lunch was at Burger King. 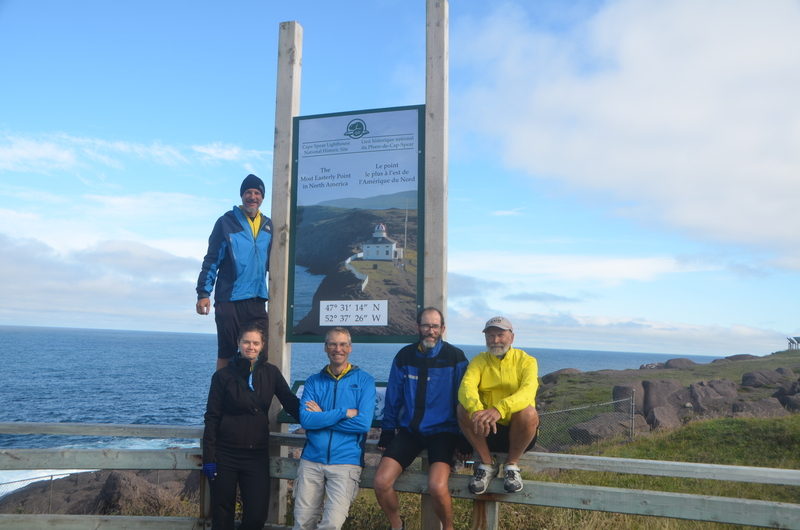 We had decided to ride out to Cape Spear, the most eastern point in North America. It was about a 20 km ride and yes there were hills. In fact, I walked part way up two. My body was in rebellion. It was saying, “Read the fine print. I only agreed to take you to St. John’s, Cape Spear was not in the contract!” It was worth the effort. What a beautiful place and the sun came out for part of our time there. 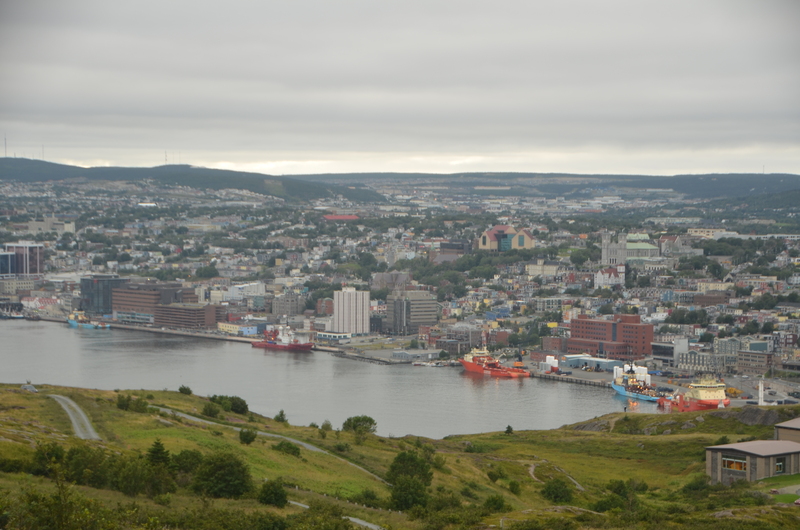 We made a quick stop at Signal Hill which overlooks the harbor. Then it was clean up and box up time. We boxed up our bikes and cleaned out the RV. Dinner was pizza. The team surprised me with an ice cream birthday cake!! So good… For a day off it sure was a full day. Hard to believe this chapter is over and our team of five head out tomorrow. What an amazing experience it has been. In the coming days I have some “Lessons from the Road” I will be posting on this blog, plus an update on our final well count. Thank you to everyone who has made this possible! What a wonderful team effort! We so appreciate all the people who hosted and feed us. 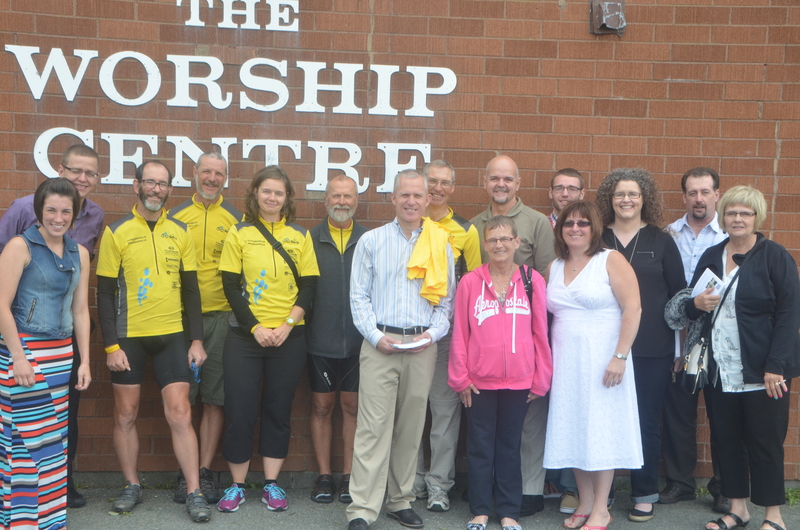 The sponsors that gave generously and each person that donated to the wells. And especially all of you that have follow us and encouraged us with your comments and prayers. THANK YOU and God bless you! 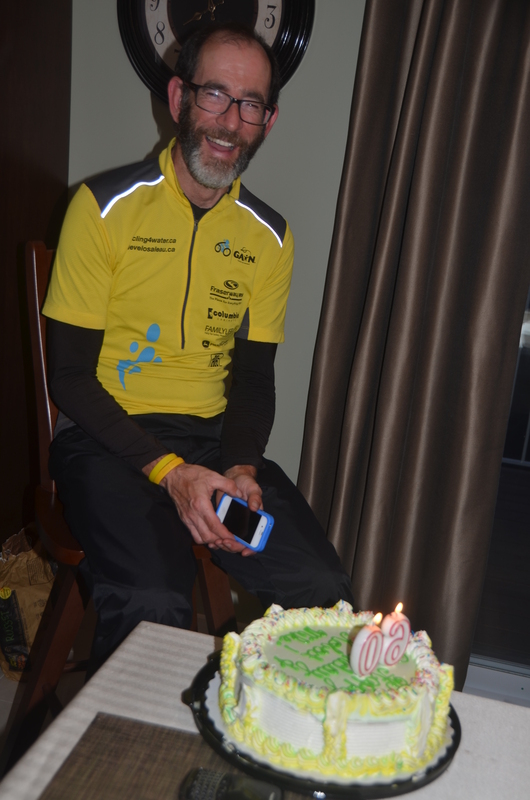 Hi Mike, I wondered how y0u could keep cycling up all of those hills especially against the wind. When I read that You walked up a couple of hills today (Since it wasn’t part of the goal) it just showed me how hard you must have worked and pushed yourself every day to have done what you did. So excited to hear that church gave a whole well. Congrats to the whole team! Have been reading your posts avidly and will donate. A wonderful, challenging trip for a great cause.